The Big red Barn can help organise your party. See our fantastic facilities in the forest next to or in amongst the Acrobranch courses. Pre-order party platters for your parties and functions. We also have a full service restaurant. Open: Wednesday – Sunday 08.30 – 18.00 , public holidays and some school holidays. 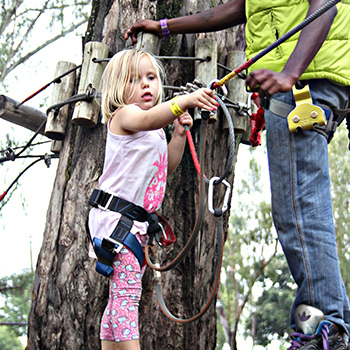 With four exhilarating tree-top Adventure courses and a range of difficulty levels, Acrobranch Centurion caters for both the young, old and the experienced, from individuals to groups. It’s a great activity for team buildings, birthdays, bachelor/ette parties and school outings. Not only is it all round fun, but it is a great activity to build confidence and coordination. Slide, balance, jump, crawl, dash, swing or stroll – our courses will test your physical ability, brainpower and balancing skills. All-in-all, it is a wonderful way to get those muscles and minds working in a beautiful and peaceful outdoor setting. 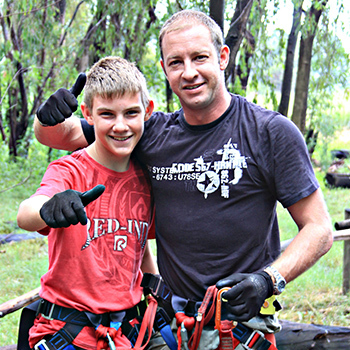 Our experienced guides keep a watch over things, ready to jump in if a helping hand is needed. 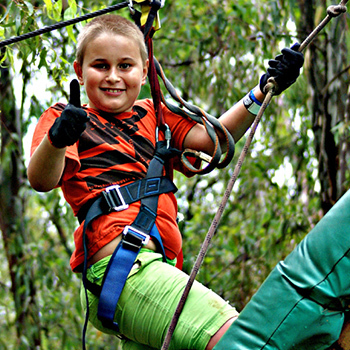 One for our younger adrenaline enthusiasts – An activity that will have little ones safely soaring 8 meters high facilitated by both a harness as well as trampoline. This package is suited for slightly older kids, teens and adults. Get started on the Green Course as a warm up. Then onto the Blue course. From the tricky T-poles to the balancing challenge of the rather worrying matchsticks, the Blue Course offers a real challenge at a height that would bring on a case of the adrenaline shivers. This is the full value package. The Blue Course may be tricky but if you’re up for more fun and challenges, try High Flying. Expect nothing less than a rush of adrenaline from this course! Some hard obstacles lead to an adrenaline pumping Steep Zip. 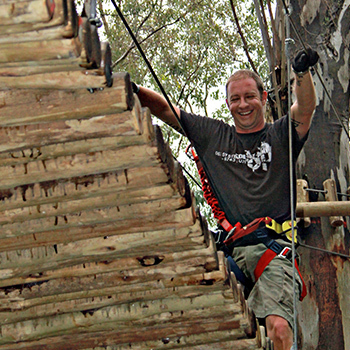 End it off with a quick 70 metre zip where the forest trees fly past. Restriction: for anyone 1.3 metres and taller. The Big Zip: R90.00 for 3 rides. Feel the wind through your hair as you take on the Big Zip – 130m of adrenaline pumping excitement!